The Voopoo VFL is the star of this year's halftime show, and it's back up dancer is the refillable pod. These refillable pods fit the football-shaped pod mod perfectly and let you refill with your favorite nic salt. 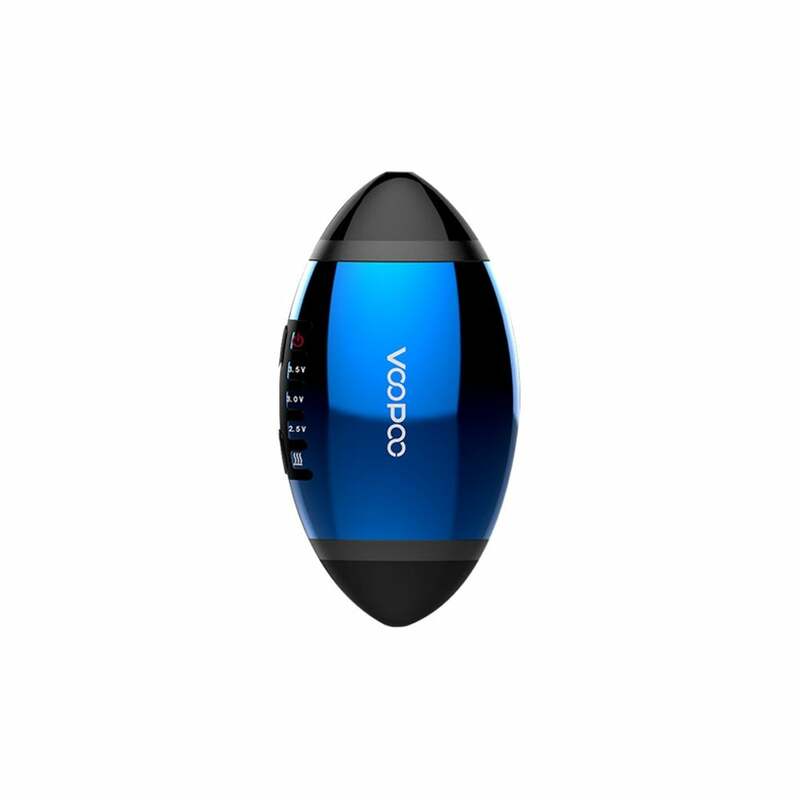 Choose between two airflow options simply by placing the pod near whichever airflow hole you prefer. The Voopoo VFL pods come with a secure silica gel plug for easy refill, and the ceramic coil and U-shaped airway give you quality taste every time. Celebrate a win with the Voopoo VFL pod mod! Voopoo is already renowned throughout the vaping world for their high-quality selection of box mods, and now they're bringing out their second ever pod mod for a touchdown of epic proportions. Vacuum-plated aluminum alloy and silicon buttons contribute to the VFL's sleek design, which is shaped like a football in tribute to the great American sport. On one side of the football, you have the charging port. On the other side, a slot for your refillable pods, ready to fill with your favorite nic salt. The Voopoo VFL pod system uses a ceramic coil and U-shape airflow ensuring you get the purest taste possible from your nic salts, and two airflow options give you more control over your throat hits. And with the Voopoo VFL's built-in battery handling up to 650mAh, you can be sure that this pod mod can handle just about anything you throw at it. There are three voltage options to choose from (2.5V, 3.0V, and 3.5V), and you can easily switch between the voltages in order to get the best flavor. Intercept the latest exceptional pod mods from Voopoo with the Voopoo VFL.